Appointment Hours: Monday through Friday 8 a.m. – 5 p.m. Please do not use this email for emergencies. For emergencies, call the hospital at 352-392-2229. 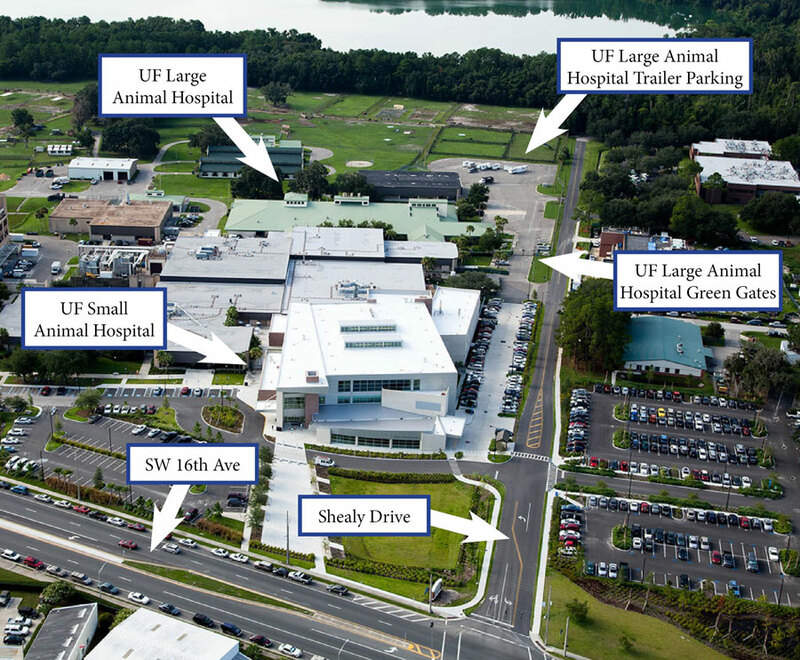 The UF Large Animal Hospital does not accept volunteers at this time. Animal Airwaves is a daily radio series that features one-minute segments relating to animal health. Each module focuses on a different topic of interest to the owners of all types of animals, ranging from consumer tips offering insights into animal behavior to veterinary patient care breakthroughs and trends. A production of the UF College of Veterinary Medicine, UF Health Communications and 89.1 WUFT-FM in Gainesville, Animal Airwaves airs three times each day on 89.1 WUFT-FM and 90.1 WJUF-FM in North Central and Mid Florida. Animal Airwaves – Live is an hour-long call-in show that airs on Fridays from 1-2 p.m. on 89.1 WUFT-FM and 90.1 WJUF-FM in North Central and Mid Florida and is streamed live on wuft.org. The show features faculty members from the UF Veterinary Hospitals who address a variety of topics relating to pet health care for companion animals, exotic pets, horses and others. Call in your questions to 352-392-8989 during the show or email your questions to host Dana Hill at animalairwaves@wuft.org. Catch up on your favorite episodes here.